SWTOR had another livestream this past week. This stream was a bit different than the others that showed mainly only some of the new story content. The latest stream on the 30th of September did show a bit of the chapter one playthrough, similar to the streams during Twitch Con. The difference came in the discussion informing players about the changes in gameplay, leveling, UI updates, and many other segments of the game. Below are some of the changes coming in Knights of the Fallen Empire. I have kept the items relative to the changes in the game and did not choose to discuss any of the spoilers in story content. – Storymode Ops levels 50 – 65 with a daily reset that tells you the Operation for the next day. – Companions can play any of the three roles, tank, healing, and dps. – New combat companions from Cartel Market or sold on GTN. No story content, but useable in combat. The Akk dog was shown as an example of one such companion. – Blue quality is the starting level for items to craft, no more green level items. – Cut-down on bloat of materials and schematics. Older schematics players will be placed in an achieved schematic tab. Materials no longer needed will be changed into usable materials. – Gathering is also changed in 4.0. Skill no longer dictates where you can gather, but skill will factor into the amount of material you will get from a given node. – Mission crew skills will no longer be a random on what missions will pop up in the menu. All the possible missions will be able to select for each skill tier. – A blog with more details on crew skills to be posted in the next week or two. – The names of Basic, Elite and Ultimate commendations will be changed. They will be known as Common, Glowing and Radiant data crystals. – No conversion on commendations. 100 Basic comms will equal 100 Common data crystals in 4.0. – There will no longer be a weekly limit on number of commendations a player can earn. The total limit will rain the same. – Legacy Datacrons!!! It is here. Players will be able to track their datacrons on new tab in the Legacy UI. According to Eric Musco, datacrons will be retro activated. So if you already went to get the datacrons then all your characters will have those stats within the same legacy. – Speeder piloting 1 at level one. It can be unlocked per character on the character perk. – Random mount and random pet buttons available in your legacy and will be free. – 12x XP will be ending when the expansion launches. – In order to level 1 to 50 you will need to play your class story and main planetary story arc. – The class and main planetary missions will be labeled as purple icons on ingame maps. – The Cartel Bazaar will have a representative from every ingame event added. A one stop shopping for your event rewards. – Rewards from past events will once again be available for purchase through a new vendor named Ky’lee. They will be purchased with current event currencies. 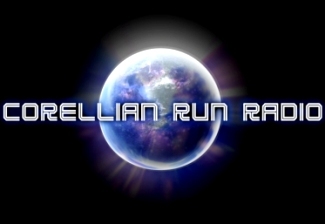 – Missions can be accessed via several terminals including one on the Fleets. – Once a mission is accepted there will be an icon to click that will act as a priority transport. – Players visiting planets beneath their level will be automatically synced to the correct level. Players will keep all the abilities they have earned, but their stats will be lowered accordingly. – You will be able to gain XP from the lower level content because of level sync without ruining the XP for other players in your group. – There is no option to turn off this feature. I feel like I need to let my hands rest from typing lol. No, seriously this is a huge amount of information about the expansion that BioWare has given to us. The floodgates are officially burst wide open. There are still plenty of other details regarding graphic improvements and other improvements we will see in 4.0. BioWare, over the next few weeks, will be posting several detailed blogs on all the elements coming to SWTOR in the Knights of the Fallen Empire expansion. 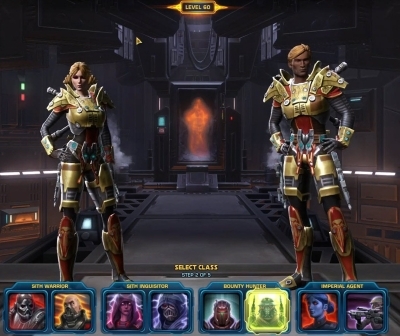 If you did miss the livestream, follow the link to SWTOR’s recorded version of the livestream from September 30th. There is a KotFE logo on the screen. You can skip to the 15 minute 42 second mark to start the video. Happy October! Join Heather and Jason this Sunday, Oct. 4th, 2015, at 4pm EDT / 1pm PDT. We will be talking all about the upcoming expansion and our thoughts on the confirmed details. We would love to see you in the chatroom during the show. I wanted to let you all know of an upcoming to change to the Customer Support forum – namely, that they won’t be around anymore. We are creating a new Answers HQ page for SWTOR at answers.ea.com. This move from the existing Customer Support forum will allow players to help players in a better capacity, with EA employees monitoring replies and ensuring correct and useful information is promoted, in an environment where active and helpful players are rewarded. As part of this, non-subscribers will also be eligible to receive web-based support by utilizing the Answers HQ page! We are currently planning for this transition to occur on October 5th. As of this date, these forums will be in read-only mode and the link to the CS forum will redirect to the new AHQ page. At a later date, the forum will be removed completely. We look forward to seeing you on the new page! 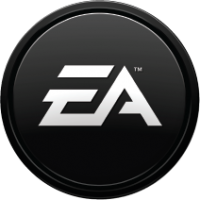 This looks like a good idea for the customer support to be all centralized together under EA. I say that for one reason, it will enable free to pay players a place to turn for help. The forums will be where players can help players. The forums will be monitored to insure that correct answers are being given. In my opinion, I have always received the best help from fellow players. What do you think of this move by EA? Please let us know in the comment section below. This week we have another funny and very creative music video from YouTube user Randy Turnbow. This one is another parody featuring Darth Vader, Kermit the “Jedi” Frog, and on banjo the Emperor. This unusual trio all come together to sing the Star Wars Connection. Trust me this video is just as funny as it is creative. Randy does another great job of combining comedy with a familiar tune to bring pure joy with lots of laughs. Take a moment, press play on the video and then let us know what you think about the video in the comment section below.